Weather – Sunny to partially cloudy all week . Highs mid-70’s. Lows down to a chilly high 40’s. Had quite a bit of wind this past week. One day the port captain shut down the port from all boat traffic in-or-out because of the rough waters. Fishing – Not bad considering the weather and time of year. It could be rough, but both warm and cold water species caught. 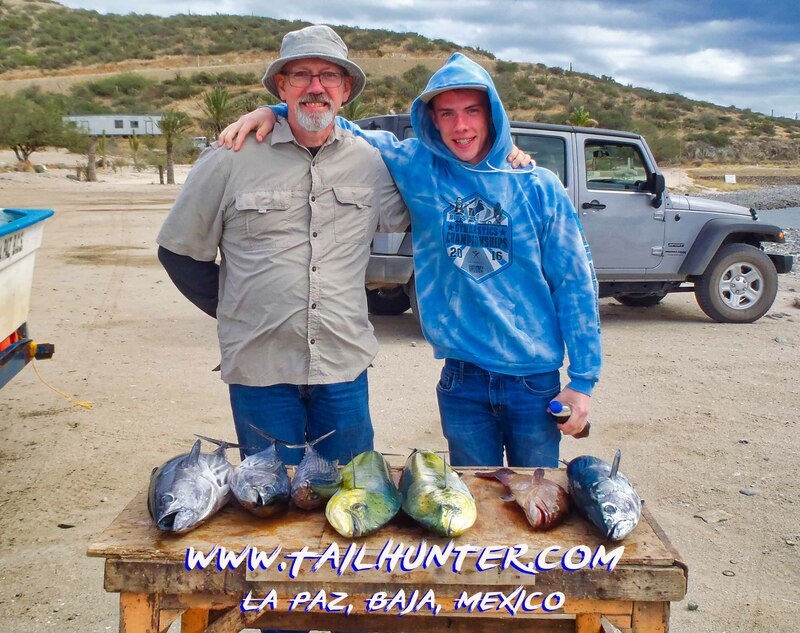 Fish Caught This Week: Dorado, pargo, cabrilla, snapper, tuna, white bonito, Pacific bonito, jack crevalle. 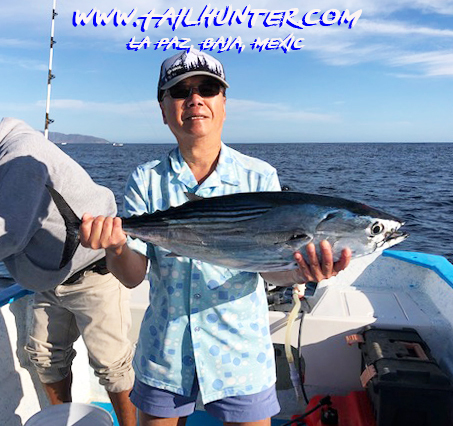 Billy Wong from Colorado Springs was staying at Muertos Bay at the Rancho Costa Resort and earlier in the week found the tuna as well as dorado and bonito. 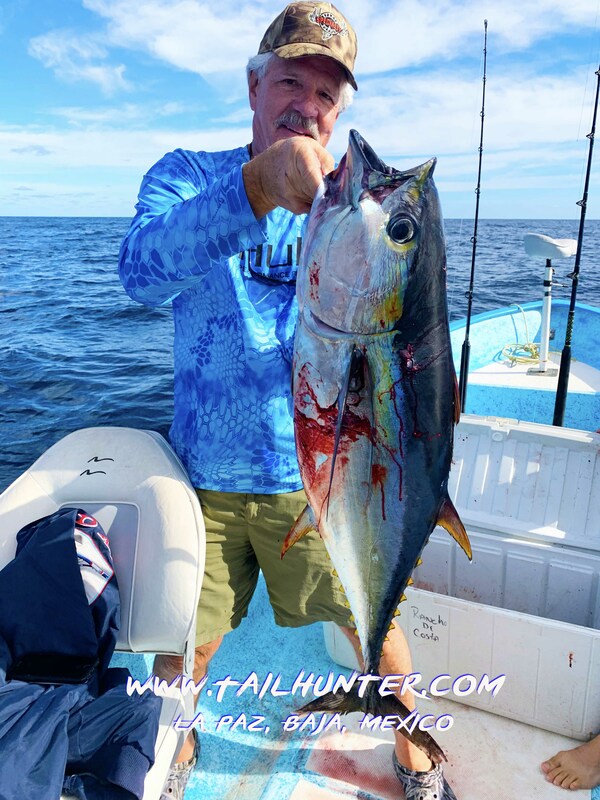 Nice mix of fish for Dave Perkins who had one day later in the week under cloudy skies and put dorado, cabrilla and two kinds of bonito in the ice chest. Billy Wong with a chunky bonito that provided some good rod-bending all week. It was a bit of a windy, cold and cloudy week for the Christmas holidays, especially as the week went on. However, being off-season, there weren’t that many folks out anyway or wanting to fish, specifically because of the winds and rough seas. There was even one day where it was so rough the La Paz port captain closed to port prohibiting all boat traffic in, our, or on the water. For the sturdier folks that did go out and braved it, the fishing was about as erratic as the weather, but they found some fish. And it was a nice mix. Fortunately, it was all close to shore too which offered more protection. There were a few nice yellowfin tuna hooked. Surprisingly, also some scattered dorado as well. A bit unusual to have warm water species like these hanging out this late in the year. 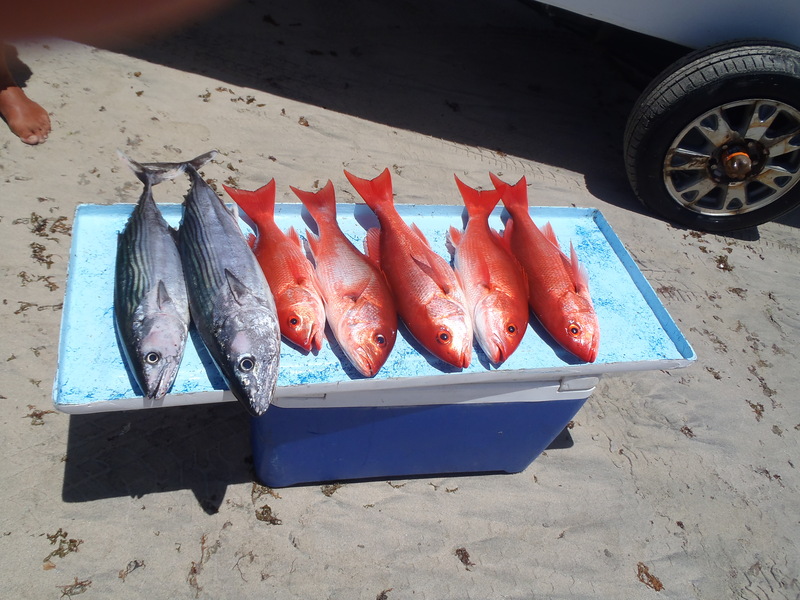 Add in some snapper, cabrilla and pargo fishing over the rocks and reefs plus nice numbers of bonito that are always good for action and it wasn’t too bad. The coming week looks like about the same with some strong bouts of wind with partially cloudy skies and temps in the high-70’s and at night in the mid-to-high-60’s. 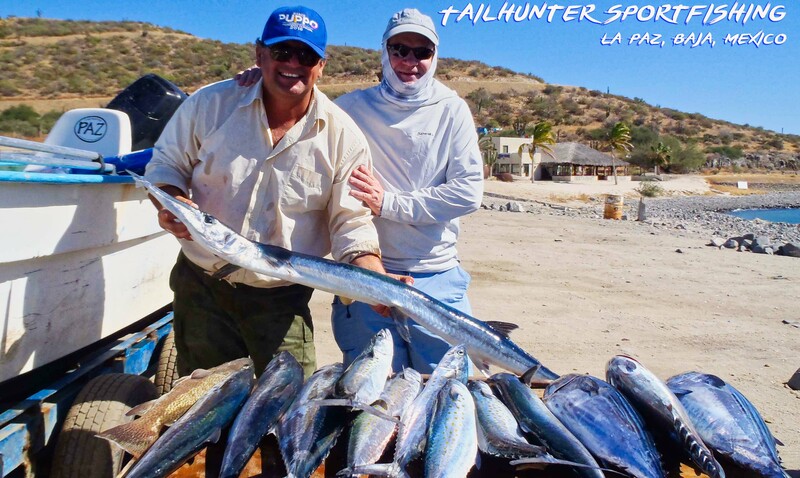 We are coming off one of the best fishing seasons in the more than 24 years we started Tailhunter Sportfishing. We’re a full-service outfitter and can customize your perfect fishing vacation. 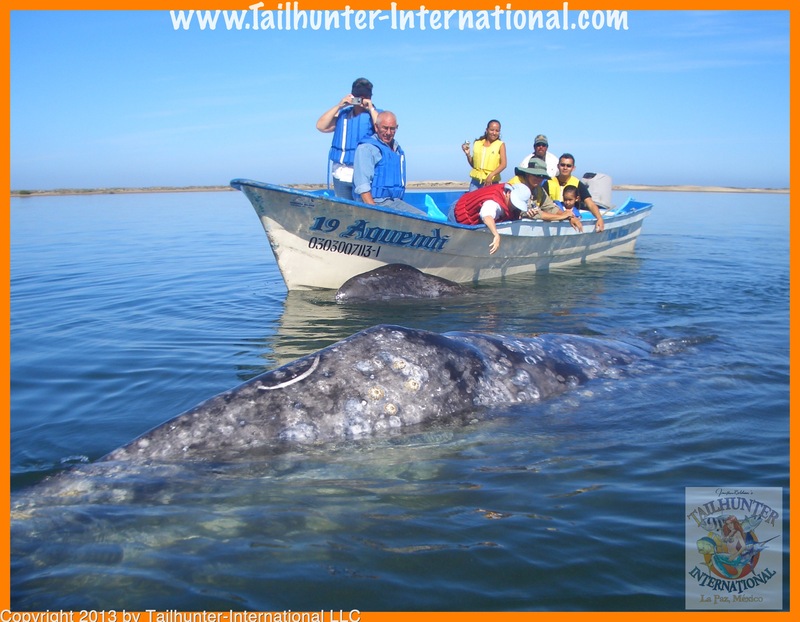 We’ll set up lodging, airport transfers, fishing, SCUBA, kayaking, snorkeling, whale-watching and so many other activities. 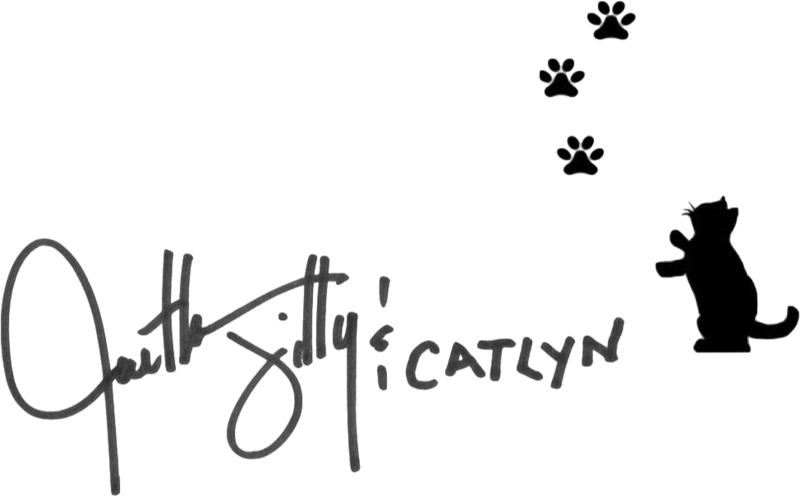 Ask us about one of our packages. Dates are filling up and reservations are coming in daily with so many folk wanting to get in on the fishing action and lots of regulars and repeat anglers! Let us know what we can do so you don’t miss out! Fishing: Too bad not many folks fishing! The fish were biting close to shore. 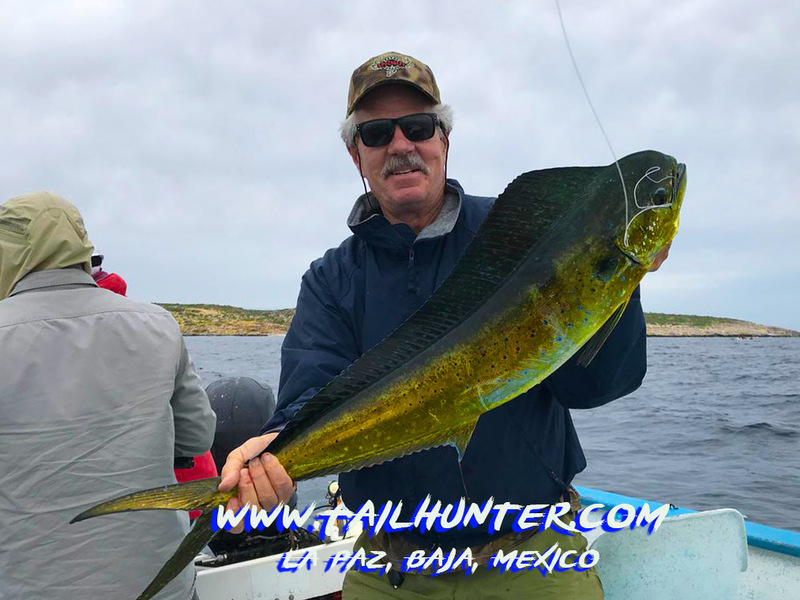 Amigo Gary Graham of Colorado Springs CO and also the Rancho Costa Resort used a Cedar Plug to get tuna like this as well as other species this week. Happy guy! 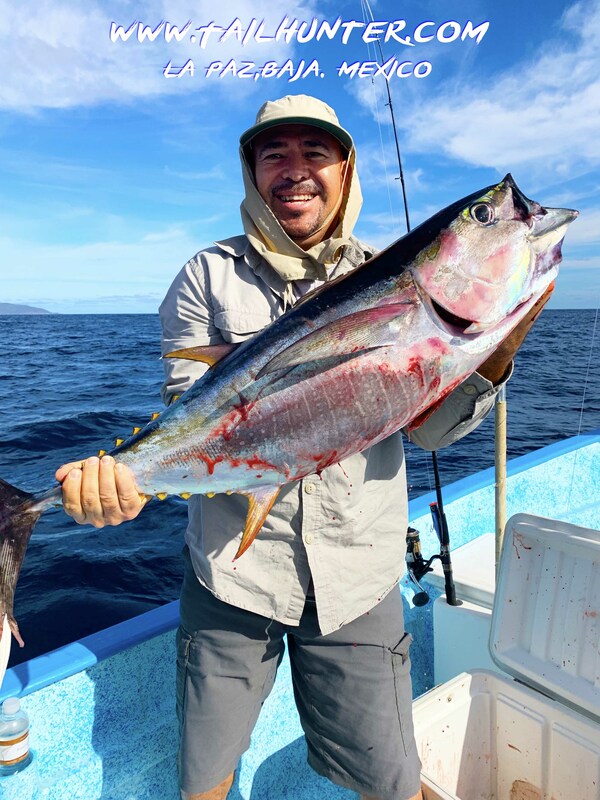 Mauricio Villanueva wit a chunky yellowfin just outside of Bahia de los Muertos. We had one of the better weeks for weather than we’ve had in a long time. Some breezes, but mostly just nice sunny weather in the high 70’s to low 80’s which is perfect for the snowbirds now visiting La Paz. Compared to some of the blustery windy days we normally have, it was pretty good winter fishing weather. The bad news is no one is really fishing or wanted to go out. We had some walk-in fishermen…the ones who are here on vacation then just want to go out for a day, but those are rare. We had others who booked reservations ahead of time like normal. 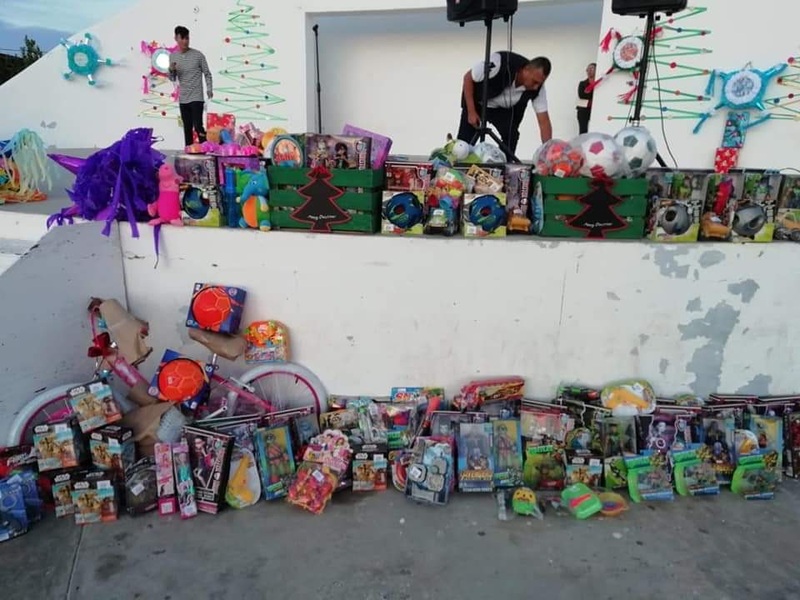 But, when they got to La Paz, they decided to just chill and kick-back on the beaches with family and friends. I get it. Oh well. 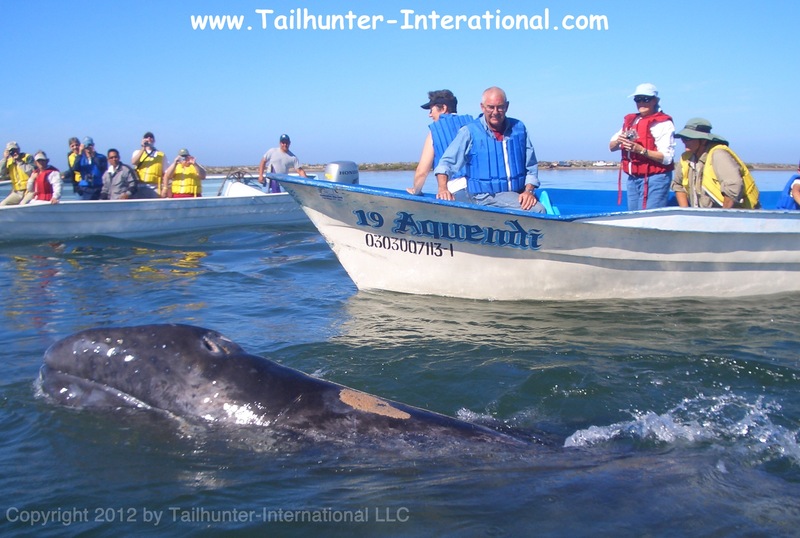 That’s why this is a nice place to hang out for the winter in Baja. The other good news is that for those who did go out this week, the weather contributed to good fishing conditions and even if the wind was breezy, we didn’t have to go out more than a hundred yards or so to get into some nicer grade tuna; schoolie dorado; and even a few wahoo biters. The tuna were surprising 20-30 pound fun-sized yellowfin. 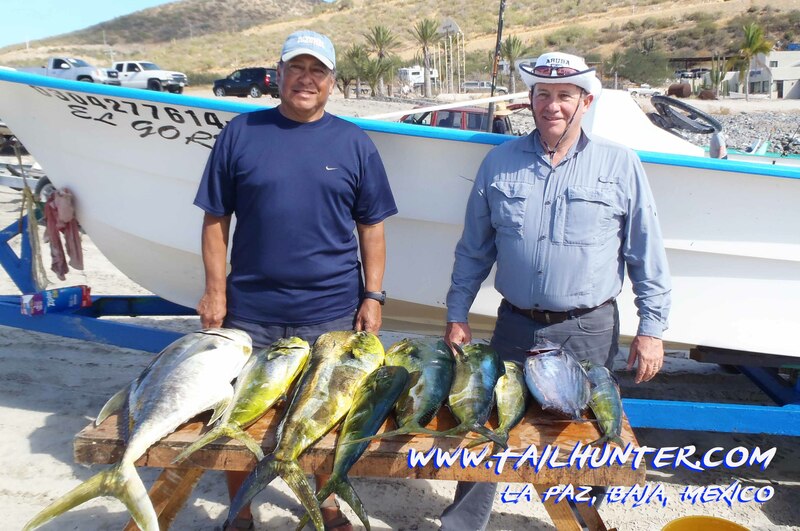 Dorado, were smallish with most hovering around 10-pounds but nice fish for the fishermen just looking for some action, especially if they were first timers. Plus a good number of tough bonito to bend rods. Inshore, the usual species of snapper, jack crevalle, sierra plus an occasional big cabrilla rounded out the boxes. This coming week, the earlier part of the week looks like it will remain fairly decent weather-wise for Christmas, but then picking up again later in the week when it might not be so comfortable for fishing. 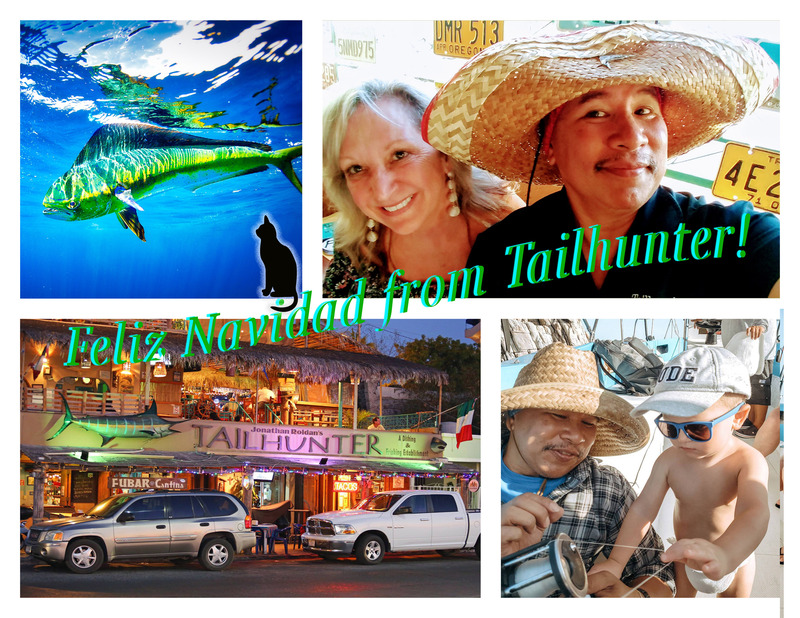 From us to you…all of us on the Tailhunter Team in La Paz, we wish you a safe, happy and peaceful Christmas and holidays. Wherever you are and whatever you’re doing this week, God bless! 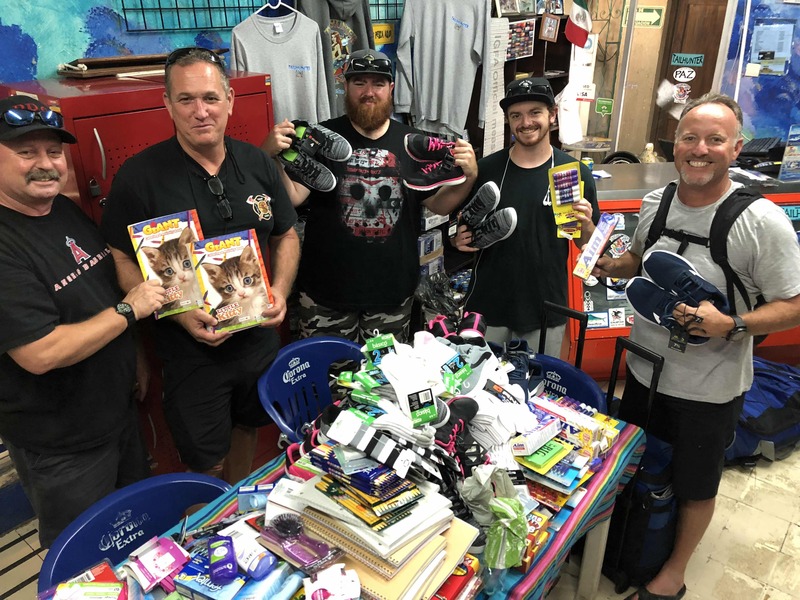 In two weeks, we’ll be hitting the road for our annual Tailhunter Road Tour for 2019. We’ll be on the road, as usual for 3 months and will hopefully see you along the way. Our first stop will be at the Denver Sportmens’ Show at the Denver Convention Center Jan. 10-13 (Thursday to Sunday). 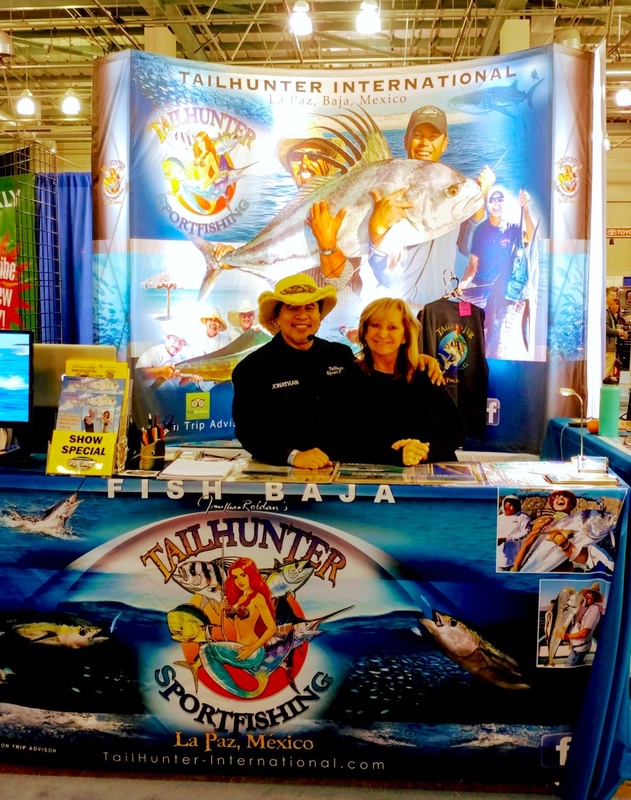 Jilly and I will be in the booth ready to chat about fishing with us in 2019 and would love to see you! WHALES ARE ON THE WAY! Weather – Yuk. Not only windier and rougher, but two days of the week we had rain and it was pretty hard at times. But, not really anyone fishing those days anyway. Forecast – Later ths coming week might get pretty windy around Thursday and Friday. Mostly cloudy. Highs in the mid-70’s. Nights in the low 60’s. Bonito and snapper in the box. Fun fishing. Snapper are excellent eating. Not much to report this week. There’s a number of things to point at. First, it’s off-season. Just not many folks fishing between November and April. It can be windy and rough. And indeed, that’s the 2nd reason there’s not much to report. It was not only cold and windy this week, but it rained. In fact, it rained pretty hard at times. That winter storm “Diego” that dropped show and rain in California; flash flooding in Texas and is now slamming into the East Coast started down in Baja! So, that’s not exactly conducive to fishing. Finally, tack on the fact that this is the “lull” between the holidays. There’s just not that many folks in town. Some snowbirds mostly or folks just looking for a little sunshine compared to where they’re from. And they’re not really in town to do much or any fishing. All that being said, there was some spotty to OK fishing taking place. Inshore species like snapper and cabrilla…sometimes large cabrila provided action. For a lot of first-timers, bonito are always fun too. Some good eating sierra were taken and here and there’s schools of dorado running 5-15 pounds were about the only blue-water species around, but a hoot for a lot of these snowbirds. 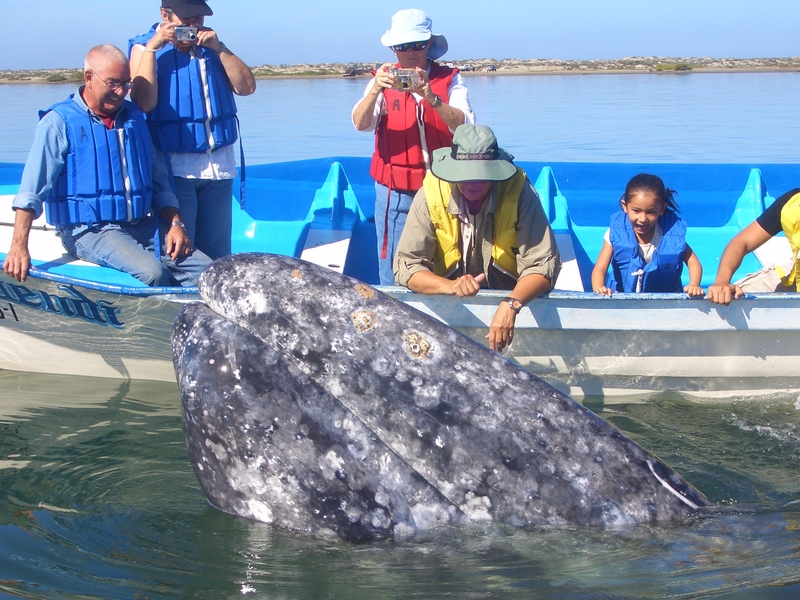 WHALE WATCHING SEASON COMING UP SOON! Don’t forget! 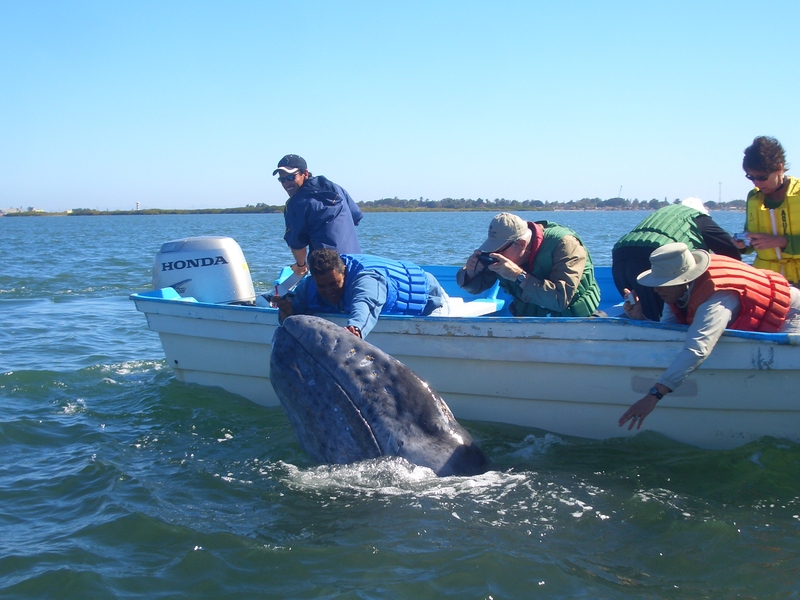 January to March is our prime-time whale watching season over at Magdalena Bay. Ask us about more details for this great family adventure. 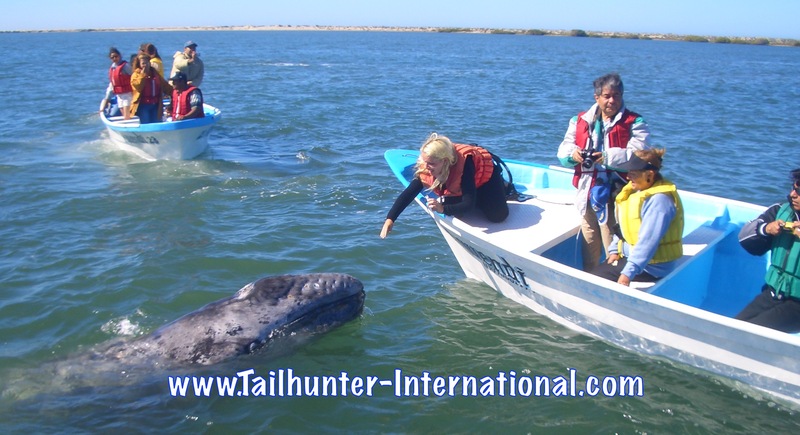 It’s the largest migration on earth and a fantastic experience to get so close to those incredible animals. Weather – Much better this week. Winds gave us a break. Mostly sunny. Daytime temps mid-80’s. 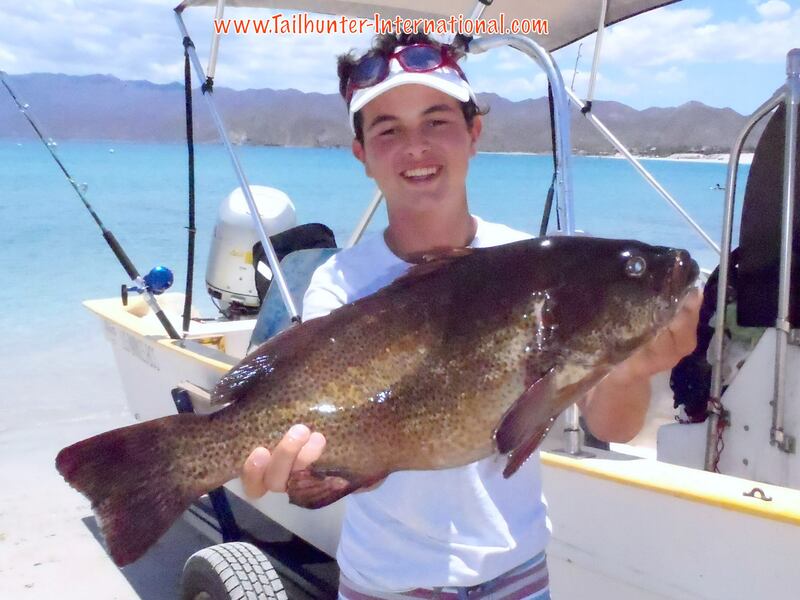 Fishing – Transitional mix with warm and cooler water fish taken. Warmer water fish on the way out and more cooler water fish showing up. 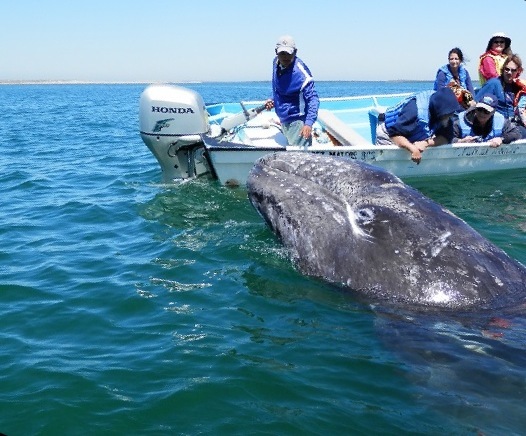 But strangely, one day it would be mostly cooler water fish like pargo, cabrilla and sierra. 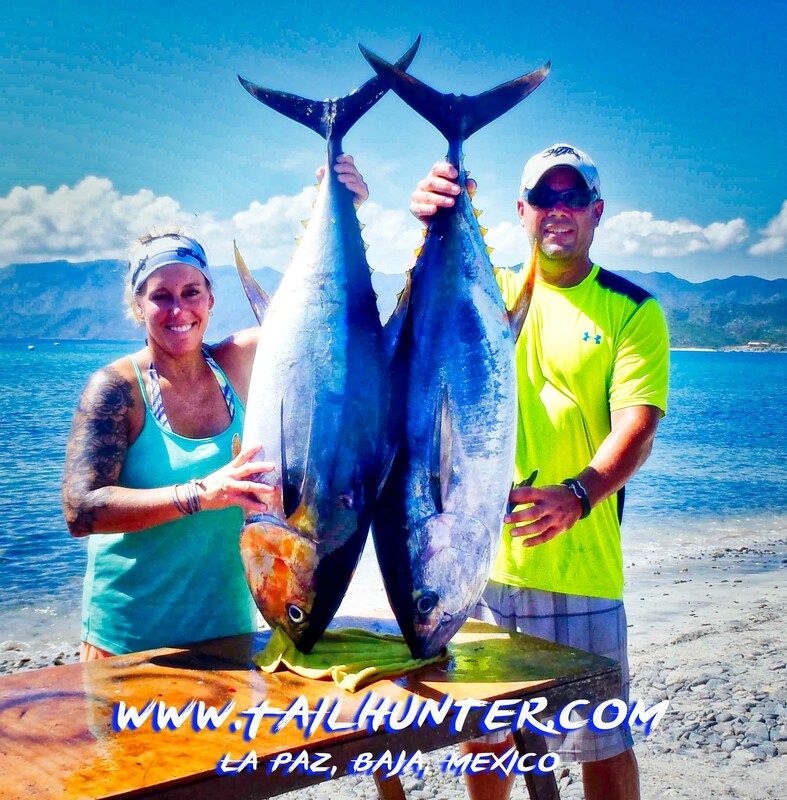 Next day, warm water fish like dorado and wahoo. Forecast: Looks like the northern winds return this coming week with very strong winds maybe Monday or Tuesday then later in the week very strong. Chance of showers mid-week. We’re not usually going to see dorado this time of year, but they were a great surprise this week. Most fish 8-12 pounds. Fun size, but some larger. Check out the big jack crevalle on the rack. They were fishing with Captain Gerardo. Manny poses with his big wahoo caught right off the point at Punta Perrico. Decent wahoo week earlier. Captain Armando put his guys on a full box of sierra plus some fat bonito, a cabrilla and a giant needlefish. 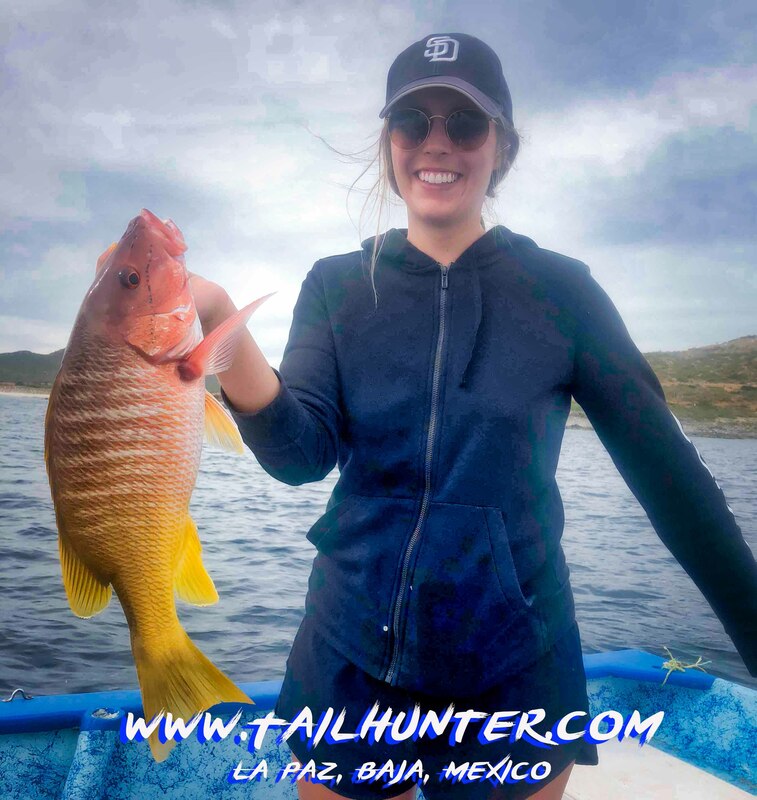 Laura Rush with a great eating yellow snapper. It was one of the better weeks we have had in awhile. As is usually the case, weather has a lot to do with the fishing. With mostly sunny skies, the winter north winds gave us a break for the most part allowing us to get out there and not make it an exercise in staying dry and in the boat in the big waves. But, it also allowed us to get to some spots that are often difficult when it’s windy. 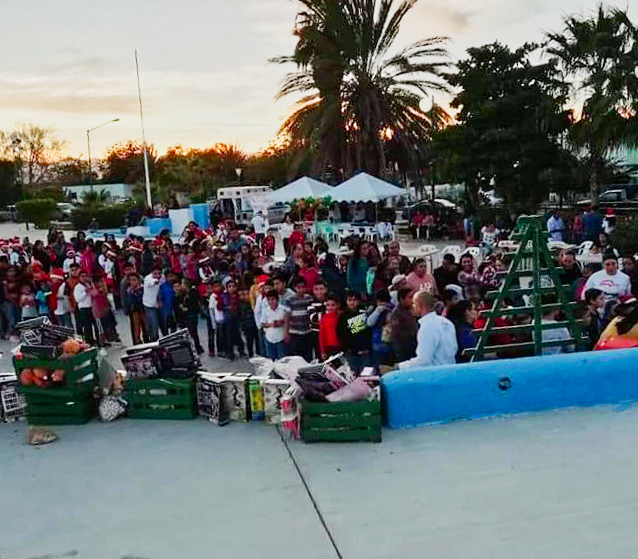 With daytime temps in the mid-80’s and nighttime in the high 60’s it’s a pleasant time to be in La Paz and the influx of snowbirds is a sure indicator. But, as I’ve said in the past, they usually don’t fish or only fish a day so there just aren’t that many folks fishing this time of year. But, we did get some folks out and the catches were rather surprising. 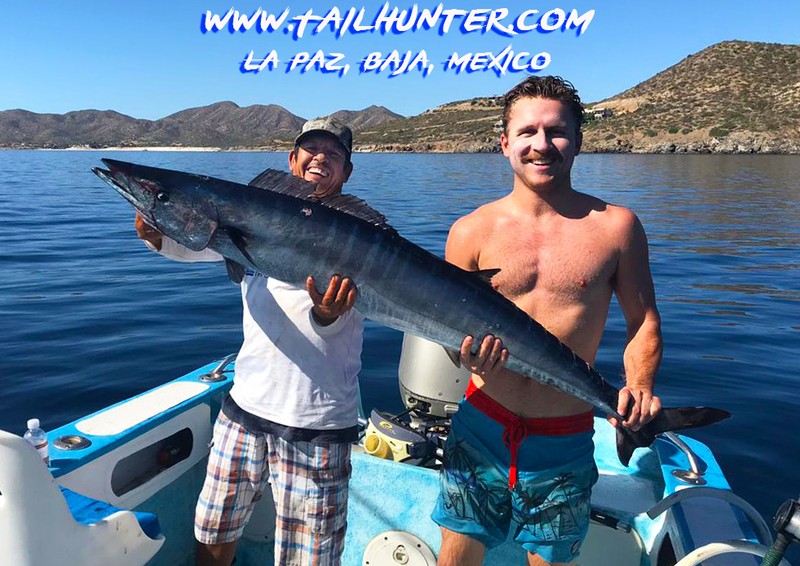 Early in the week out’ve Bahia Muertos, a good snap of 20-50 pound wahoo showed up just off the rocks with some nice fish hitting the box, but others getting lost. All week, there were small bands of schoolie-dorado as well. Nothing spectacular, but great fun action with fish running 8-12 pounds mostly with the occasional 20-pounder. A bit unusual this time of year given the cooler water temps. 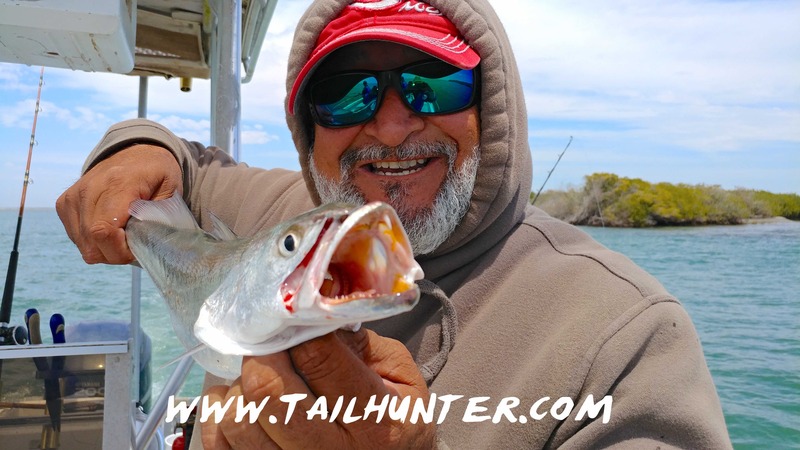 Other days, there was decent action on bonito, big jack crevalle, pargo and cabrilla and a sure indicator of cooler conditions was the appearance of good bites of sierra that make for great eating and fun on light tackle. In fact, several days we had more sierra than I’ve seen in a long time. The outlook for the coming week shows some spikes of wind as the northerns return, but most of the wind won’t hit until the end of the week.